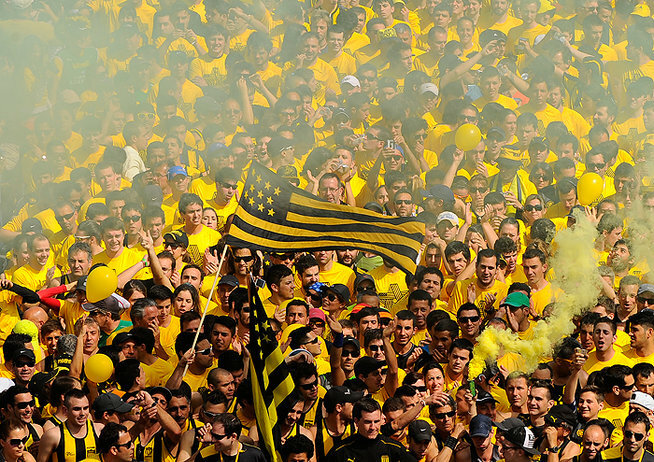 With 22 points the Club Atlético Peñarol is first in the Uruguayan Clausura Championship. At the annual table the “Carbonero”with 53 points is also first. Being the champion of the Apertura championship the team is candidate to obtain the Uruguayan champion 2015/2016. While Penarol has changed coaching staff in January of this year, there are club policies that are designed to middle and long term. Has finally built its own stadium with capacity to play the Copa Libertadores. The club is working to form new players and in a new project to improve management. This new project is known as ClubManager, management software developed by AZsportech, partner of Uruguay’s National Team. The software works in all divisions of the club being able to project the future and avoid mistakes. The results are now visible.